BOSTON (Herald de Paris) – In her debut novel, Hyatt Bass eloquently writes about relationships that drive us crazy, memories we never want to lose and what we only realize we cherish most when it is gone forever. The Embers delves into the heartbreaking and somewhat mysterious death of a son and brother which derails the bonds of everyone in the Ascher family. The storyline jumps back and forth from present day to fifteen years prior when Thomas Ascher is still alive. When The Embers begins, it is fall and Emily Ascher and her fiancé Clay are planning their fall wedding. Emily is a lawyer with a promising career. Emily’s mother Laura is remarried and runs a theatre school for teenage girls. Emily’s father Joe is a famous actor and playwright who partially blames himself for his son’s death. He and his daughter have a precarious relationship. Through descriptive and charged prose, Bass chronicles the Ascher family struggles revolving around a chronically ill teenager, the various familial associations through the years and a devastating death. How does what happened in the past relate to what is happening today? How has each family member changed? How is each family member handling the death of Thomas more than a decade later? 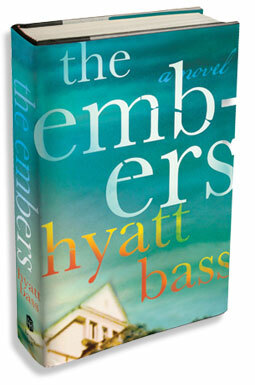 The Embers is a sharply written, remarkable novel that keeps the reader completely engulfed in the story and its characters from beginning to end.